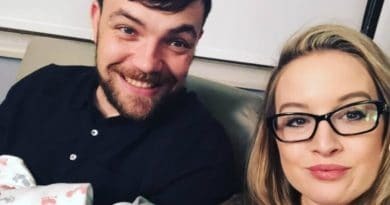 90 Day Fiance: Happily Ever After spoilers from Elizabeth Potthast and Andrei Castravet are that their pregnancy was unexpected. The couple did not plan to have a baby so soon. However, they were excited to find out that they were expecting. In addition to pregnancy news, Elizabeth finds herself in a constant battle with her family about Andrei. It hasn’t been easy for him to find a steady job. Now, there’s a baby to take care of. Planned or not, Elizabeth and Andrei are about to become first-time parents as the new HEA season kicks off (although she gave birth back in January in real-time). Elizabeth Potthast and her Moldovan husband were on season 5 of 90 Day Fiance. The pair met online at first. Then Elizabeth traveled to Dublin where he relocated after leaving his home nation. That was their first in-person meeting. Later, Andrei came to America on a K1 visa to marry his wife. Their relationship was not a hit with Elizabeth’s family. However, they got hitched within the 90 days. 90 Day Fiance: Happily Ever After spoilers indicate Elizabeth Potthast loves married life. She says it’s “everything I dreamed it would be and more”. Even though her marriage didn’t sit well with her family. Elizabeth explains that her family is always judging her husband. However, she acknowledges that this is their reality and they have to deal with it. Andrei Castravet can be very protective of his wife. At times it can come across as being a bit much. Elizabeth’s family doesn’t like this about him. However, the Tampa girl always sticks up for her husband. However, it looks like Andrei is fed up with everything to do with the Potthast clan. 90 Day Fiance: Happily Ever After spoilers show Andrei Castravet seems to threaten to leave his wife. She admits that Andrei can be hostile. And he makes rash decisions. When she tries to “hash it out” with her husband, he says he’s done. He adds: “I hashed it out right now.” Then, Andrei said “I’m moving out and I don’t need you”. But at least part of this is (no doubt) down to TLC’s amped up editing style. Elizabeth Potthast and her husband Andrei Castravet welcomed a baby girl earlier this year. Eleanor Louise Castravet was born on January 23. 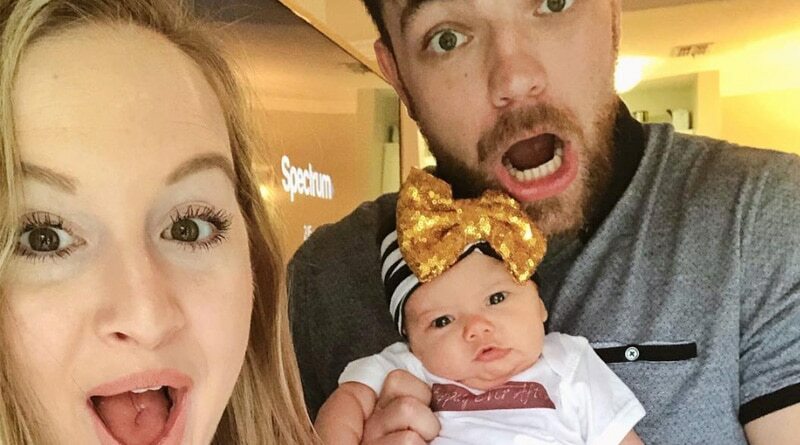 The first-time parents thanked everyone on social media “for your love and support during this precious time”. However, this pregnancy was a huge surprise for the couple. Watch as Andrei Castravet and his wife Elizabeth Potthast continue their journey on a new season of HEA on TLC on April 28 to see how her constantly critical family handles the baby news. Want more 90 Day Fiance: Happily Ever After spoilers? Check out Soap Dirt daily for all the latest. 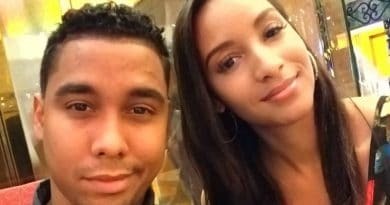 90 Day Fiance: Pedro and Chantel Alone on Happily Ever After – Divorce Wrecks Planned Cast?